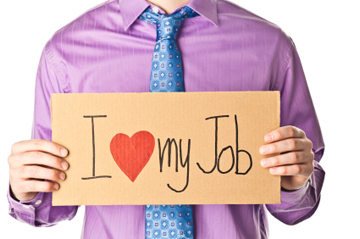 Happy Employees are a Great Deal! It's a Good Thing Happiness is Contagious! People who are more satisfied with their workplaces are more likely to stick around longer and of course they will also be more productive. This pretty much sums up the employee engagement goal for most organizations. On the other side of the fence employees who are feeling down in the dumps won’t be as productive. What does Employee Happiness cost? Now compare that investment to Gallup who reports that 87% of the workforce is actually disengaged. We are not happy workers and it appears nobody is doing that much about it which is a bit crazy considering what it costs to lose a good employee. And the cost of losing an employee is frightening! A report from TalentWise found that when an employee quits and walks out the door they take 70% of their knowledge with them not to mention that the company loses 150% of that person’s annual salary as well. One company that is suffering a happiness epidemic we can all learn from is G Adventures headquartered in Toronto, Canada. In a recent Globe and Mail article author Paul Hunter found that G Adventures sends travelers to more than 100 countries and they are proud to say they did not reach annual revenues over $300 million by hiring grumps. Their secret is summed up in a not so typical business executive named Dave Holmes. Holmes is the mayor at G Adventures and the chief happiness officer. His mission is to keep morale high, foster company culture and keep employees engaged and connected. Also known as the head cheerleader, Holmes is ok with that. And therein lies the question all workplaces need to be asking themselves. Are our employees happy working here? It would help if first of all you really cared about the answer to that question and you wanted to stop being another negative statistic on Gallup’s disengaged list. And if you care enough to want your employees to be happy then you should care enough to ask them if they truly are. Nothing is more powerful than hearing what your employees think in their own words. They give you the stories behind all the numbers and in that way, they humanize your workplace. Listen to what they tell you and commit to doing what it takes to make work a happier place for yourself and for them. We spend so much of our lives working so why shouldn’t it be fun while it lasts? Could a Chief Happiness Officer be a part of your plan to get happier at work?